A TV commercial for the US fast-food chain McDonald's has been scrapped as of Friday in the Philippines after Catholic authorities criticized it for inducing greed and mercantilism in children. ­The advertisement shows a girl aged about five who asks a boy of the same age if she could be his girlfriend. The boy harshly cuts her down to size, saying girls are excessively demanding. The girl replies that all she wants is McDonald's french fries which makes the boy’s face light up. The ad ends with the pair walking together, side by side, but not holding hands. The authorities of the Catholic Church in the Philippines believe the ad is too adult for the target audience and could send the wrong message to children, with its use of gender stereotypes. The priests insist the advertisement promotes greed and mercenary feeling in children. In the Philippines, over 80 per cent of the population is Catholic, therefore the Church has great influence on society, for example, abortions and divorces are prohibited in the country and the sale of condoms is restricted. 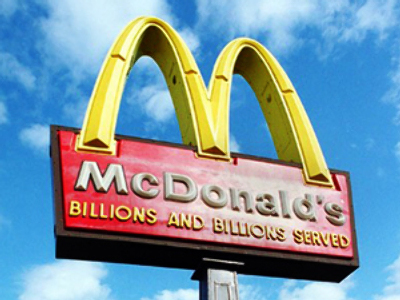 So it is no wonder that McDonald’s agreed with the position and the ad has been taken off all national TV stations. McDonald's has faced similar situations before. 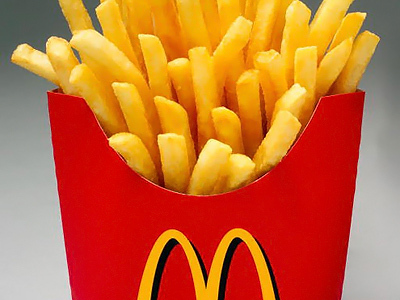 In late 2003, an advertisement for McDonald's french fries was banned in the UK for its lack of information about the nature of the food processing technology. Earlier the same year, Swedish authorities considered another McDonald's ad as sexist and banned it. Last year, the McDonald's chain was sued by the Center for Science in the Public Interest (CSPI), an American non-commercial human rights watch organization which claimed that the fast-food chain’s Happy Meals with toys encourages people, especially children, to consume unhealthy food with excess fat in it.